Following the Hacking Team data breach, yet another Adobe Flash Player zero-day vulnerability has been found actively exploited in-the-wild. 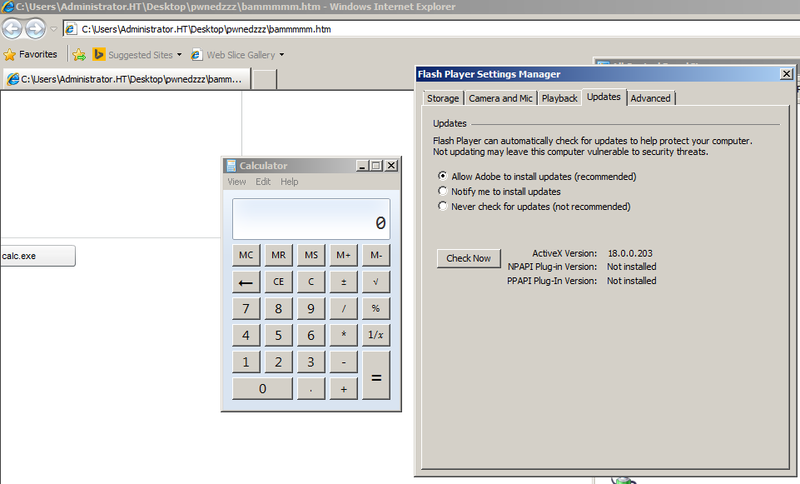 Yet another Adobe Flash Player zero-day has been found actively exploited in-the-wild. Thanks to the breach of the HackingTeam’s private files, another Adobe Flash zero-day has been made publicly accessible and hackers are taking full advantage. Adobe expects to patch this vulnerability at some point during this coming week. Special thanks to Kafeine of Malware don’t need Coffee for his swift analyses and sharing of his findings, as always. The source code of this exploit has been posted; the URL to download the source (within a compressed archive) was posted on Pastebin, and can be found by clicking here. The post Hacking Team Another Flash Zero-Day: CVE-2015-5122 appeared first on Security Affairs.